Anyone who appreciates a good gummy candy and is interested in the wellness benefits of CBD should understand that combining the two is an awesome way to get a daily dose of this miraculous cannabinoid. Not only do cbd gummies offer an extremely easy way to consume CBD but make getting an exact dose a no-brainer. And who wouldn’t appreciate popping a couple pieces of candy chocked full of health benefits? Gummies for pain relief and to help soothe inflammation? Yes, please. Perhaps you’re an adult with an affliction for something on the sweeter side. Or maybe you’ve got children who could benefit from the healing power of CBD. It’s no secret that CBD is a powerful agent which has shown to help with seizures, autism, and insomnia. CBD gummies make taking “medicine” fun, whether you’re an adult…or still a kid at heart. 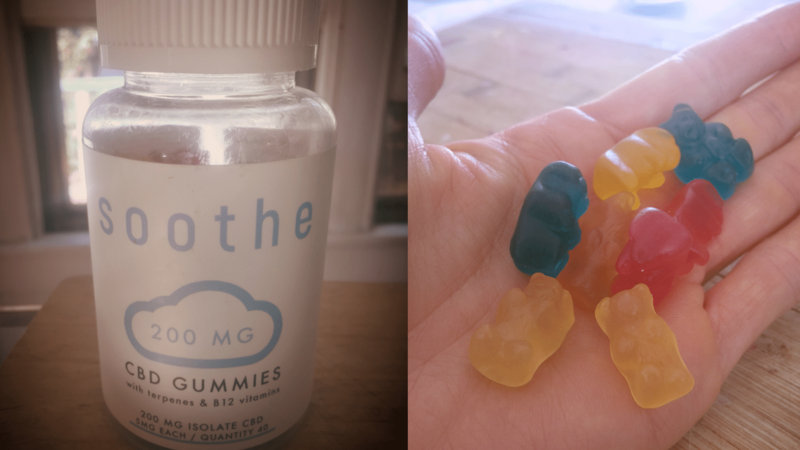 We recently decided to give Soothe CBD Gummies a try. 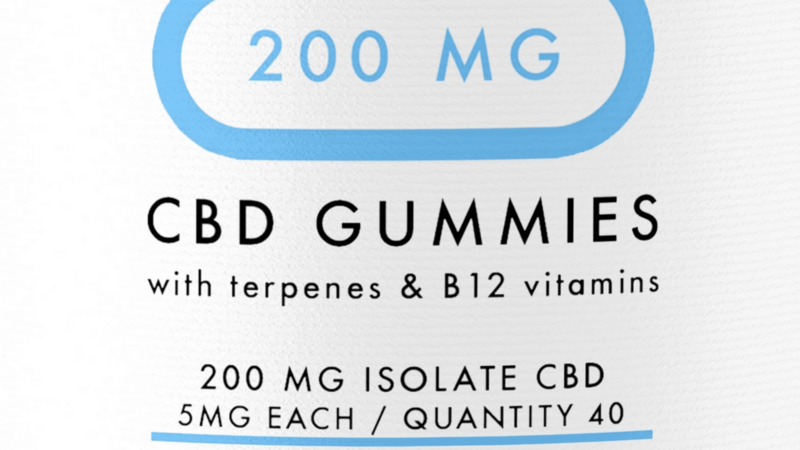 Each bottle contains 200mg of CBD, with each gummy containing 5mg. These vegan gummies (yes, vegan) are naturally sweetened with agave and made with CBD isolate, making them perfect for anyone looking for a CBD product that contains zero THC. CBD products can be made with both CBD isolate (CBD isolated from the hemp plant) or full-spectrum CBD (CBD made from the entire plant). CBD products that are made from full-spectrum CBD can still have trace amounts of THC. CBD isolate, however, contains zero THC. 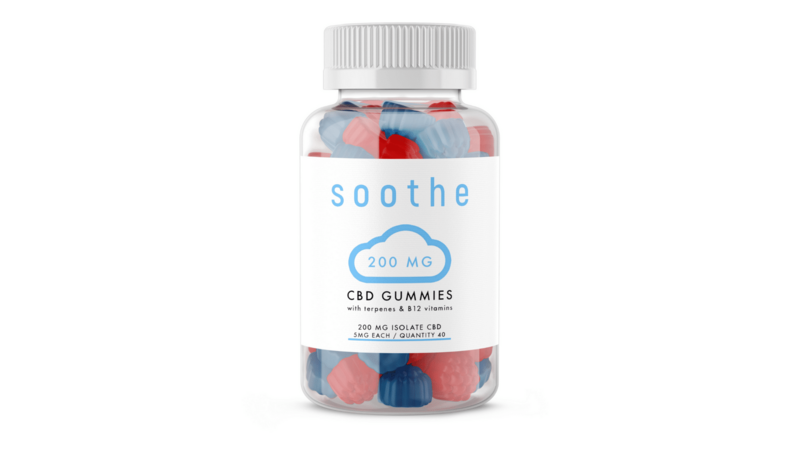 Soothe’s CBD Gummies made with pure CBD isolate don’t contain a trace of THC and can confidently be used by anyone. Have you ever had a CBD-infused gummy that tasted medicinal rather than the yummy gummy you were expecting? Not the best experience, and a bit of a bummer. Soothe has you covered on taste. Their CBD gummies taste exactly like a gummy candy should. Deliciously sweet with absolutely no trace of plant material whatsoever. It’s the terpenes added to Soothe CBD Gummies that are responsible for their amazing flavor, as well as their uplifting effects. And then there’s the fact that they’re also made with electrolytes and added B12, making these gummies an awesome way to start the day off right with all the energy you need. After just a few days of taking two CBD gummies in the morning, we can assure you that these effects did not go unnoticed. All of Soothe’s products are made with sustainably-sourced ingredients of the highest quality. Everything they offer is third-party tested, offering consumers peace of mind that they’re purchasing some of the best CBD products available produced with the highest standards. Something else spectacular about Soothe? They’re all about giving back. The people behind Soothe understand that everyone has been affected by mental illness or addiction in one way or another. After discovering the powerful effects CBD can have on both addiction and mental illness, they partnered with the National Alliance on Mental Illness to bring increased awareness to both. Priced at just $40, Soothe CBD Gummies also aren’t going to break the bank. 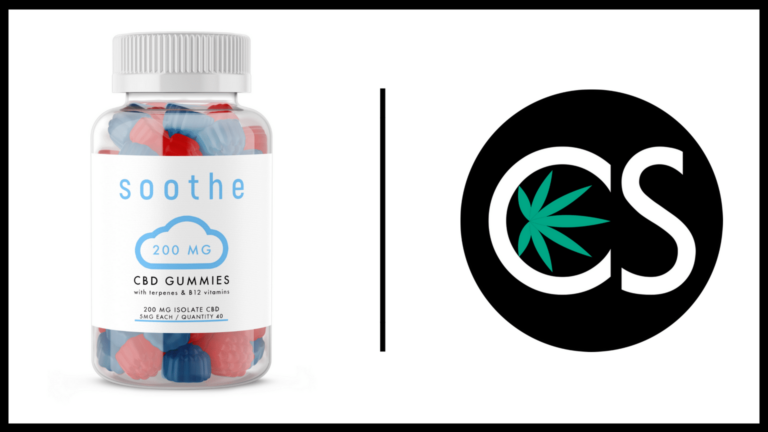 If you’re looking for an affordable, quality CBD gummy, Soothe has got you covered. Seriously. They’ve got amazing flavor with zero medicinal aftertaste and are produced with quality hemp grown under strict regulations in the USA. We’re sold. Click here to try some Soothe Vegan CBD Gummies today! Use code SCHOOL15 for 15% OFF!